Post-eclipse, Dynamism, and Your Foot — Stephanie Marango, M.D. For a society that tends to take our environment for granted, it’s kind of amazing how much activity the eclipse catalyzed. Many folks honored our cosmos by gathering to watch Mother Nature’s marvel, stopping work to witness it, purchasing sunglasses to see it, travelling to experience it, spending time reading about it, discussing it, holding rituals around it…and so-on-and-so-forth. 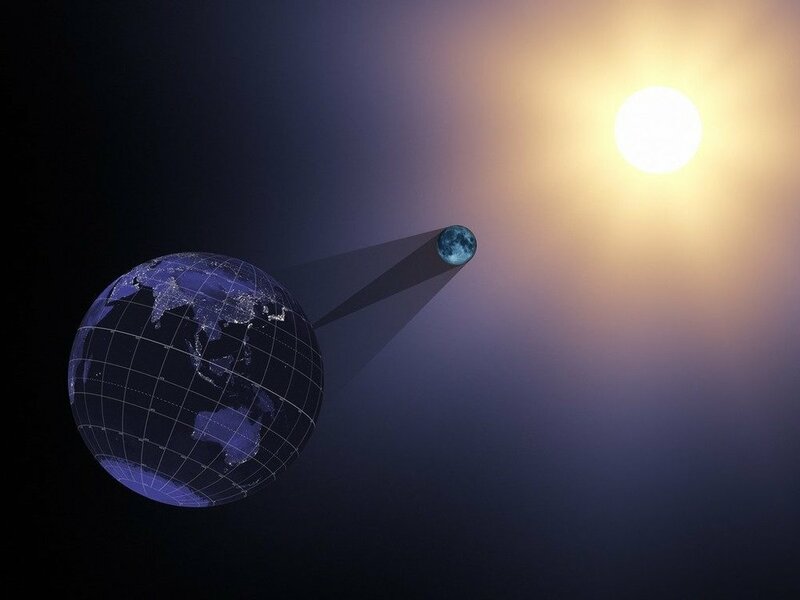 Whether we realized it or not, by mixing-up our daily routines we were taking part in a longstanding belief that eclipses do exactly that— catalyze change, at all levels (a particularly dark take on eclipse legends throughout time and culture is here). In honor of the eclipse and whatever transformation it brings (or has already brought) in your life, what follows is an ode to the body—your body—and its innate dynamism. Its continual drive to change. Literally. From the quantum level on up. Doesn’t mean that making changes in your macro life is easy. But if you choose to view dynamism/change/movement/flow as part of your inherent nature—and live, accordingly— it becomes easier. Everything in the universe consists of immeasurably-large fields vibrating. Even you, and what you perceive to be your foot, which may be resting on the ground as you read this book. But if you were to take what seems like a stationary foot and peer into its deepest level, you’d see a whirlwind of activity. Actually, you wouldn’t be able to see it with your eyes but you (and your handy electron microscope) would register some of its inner activity as vibration. Vibration is a type of motion—like a shaking, wiggling—that occurs within everything; everything in the known universe is ultimately composed of quantized packets of energy that vibrate at specific frequencies. Vibrational movement is akin to that of a bobblehead, when you tap its oversized noggin’. In the body, these back-and-forth movements allow particles to be “seen” (and sounds to be heard; it’s the vibration of air through your vocal chords that produces the sound you use to form words). So, we know that some of your smallest parts exist—like electrons, for example—due to their vibrations in a field. And it’s only once their vibrations are localized that we’re able to ascertain their location. Otherwise, electrons orbit indefinitely. Because their basic state is motion. In other words: the most fundamental level of your existence is characterized by constant movement. But you don’t have to peer deep into sub-atomic space to witness the body’s dynamic groove. Bring your observations to the cellular level and you will likewise perceive perpetual action. You are made of approximately 40 trillion cells. Each of these cells functions like a tiny factory, performing millions of reactions every second. This overwhelming number of reactions is the only way to explain a body that can walk down the street holding a cup of coffee while texting on the phone and yet not bumping into other people…all-the-while pumping blood, respiring, maintaining blood pressure, thermoregulating, filtering toxins, fighting microbes, and so-on-and-so-forth. Even when you’re dead these cells do not stop. They continue evolving as they decompose into atoms, which are subsequently recycled—or, to some, reincarnated— as trees, people, dogs and likely even stars (from whence they came). So the foot that is at “rest” may not appear to be moving at the macro level, but every bit of it is dynamic. This dynamic state is not isolated to your body, or even to its evolution over the past 3.5 billion years. Dynamism is the state of the cosmos to which it—and you—belong. For the past 14 billion years since the Big Bang, our universe has been expanding and evolving. From a state of energy and simple matter, it has transformed into a system of at least 100 billion galaxies composed of solar systems in which there is at least one planet (Earth) where a diversity of life forms exists, some of which are even self-aware. And so, with whatever self-awareness we possess in this fraction of the Cenozoic Era we live in, we use our feet to walk up mountains that are, themselves, still rising, atop a planet that is orbiting, in a solar system that is revolving within a galaxy that is spinning. So stasis is a fallacy. You’re never absolutely still. Except, perhaps, in thought and behavior. But not in your body. Commit to one thing you would like to change about your current state. For instance, you may want to establish better boundaries, or climb Mt Everest. Then: 1) Write your desired change down. 2) Make a list of what needs to occur for this shift to happen, as well as obstacles preventing the shift. 3) Given your list, choose the item that is realistic to do. Then do it. Any step, big or small, is a step. And a step is movement. Remind yourself that you are never still and put this reminder into your muscle memory. For instance, give it physical life with the Yoga Tree Pose. Once settled in the pose, bring your focus to your standing foot. Feel it move, tense, grip, relax as it perpetually refines your stance. With practice, bring your focus to your leg, knee, hips, back and beyond to notice how the rest of your body makes micro-adjustments, too. Let these shifts remind you of your innate dynamism when you feel stuck. Large changes aren’t always necessary; many times, subtle refinements will do. Whatever this eclipse brings or doesn’t bring for you, I wish you a fruitful post-eclipse season and entry into fall. And, as always, please let me know how it goes.